I had ordered some cabs from a seller in India during the middle of last month, and luckily they arrived this past Wednesday! 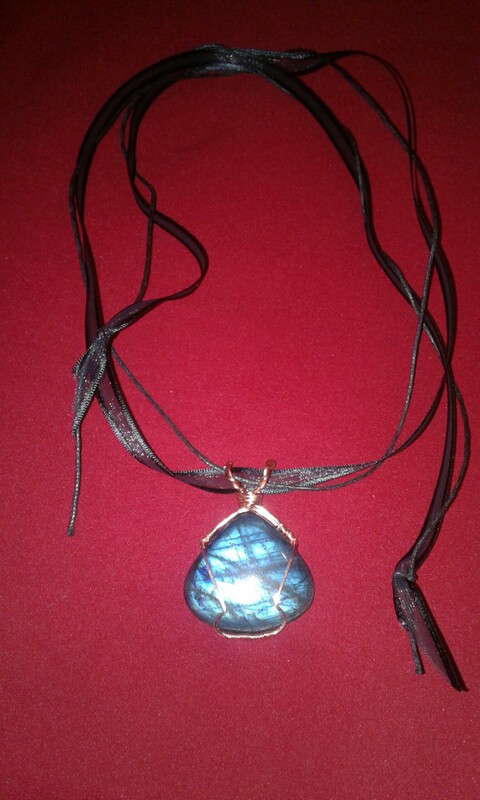 As my daughter had admired the 33mm triangular Labradorite when I showed her the picture, I knew it was meant to be a gift. Since she’s at work today, so I took a break from other projects, personal and otherwise, and wired it up for her. 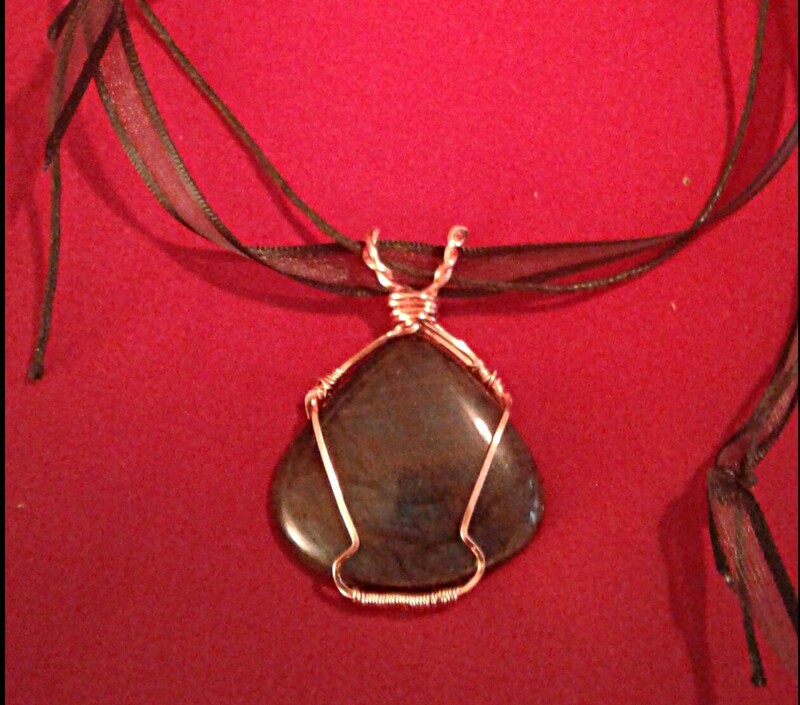 She asked for surprises under the tree this year, and – while she may have suspected who the pendant was intended for – hopefully the piece as a whole is. And hopefully with the use of the black ribbon (in place of a plain cord or chain, or the blue satin I initially chose) it will be something she can wear to work.